Black mold can kill people or pets – with prolonged exposure. Fatalities due to inhaling black mold toxins are not very common because the symptoms are not difficult to treat and the source can be eliminated by trained professionals. An infestation of black mold is usually preventable because it is closely associated with water damage resulting from broken pipes, faulty appliances, flooded basements, natural flooding, or other water-related disasters. When a team of professionals, like the people at MD Water Damage Restoration, restore the damage, they will also check to see if any lingering fungal infestation has taken hold inside your premises, and they eliminate it. Call 1-888-743-3045 for 24/7 water damage restoration services in Rockville and the surrounding areas. Our licensed, bonded, and insured experts also work hard to remediate and clean up your property from any secondary infestations sustained after a water disaster and get you back to your normal life as quickly as possible. If you live or do business in or near Rockville, let MD Water Damage Restoration manage your water extraction and damage restoration needs. Some of the worst damage imaginable can be brought on by a flooding in the basement of your home or business. If you find even a shallow pool of water in your basement, you need to act quickly. Call the experts at MD Water Damage Restoration right away. We’ll pick up your emergency call within seconds and be onsite in 30-60 minutes. Our company has been providing superior basement flooding and restoration services to homes and businesses in the Rockville and surrounding areas since 2001. A flooded basement damages the structural material and the furnishings and possessions kept in your basement. The damage to contents like furniture, electronics, appliances, and personal items can be costly. In some cases, they may be irreparable. If your basement floods, quick action is needed to avoid the secondary hazards that can result. Even if you think you can handle the removal of standing water in your basement yourself, we do not recommend it. You need to call in trained and experienced professionals. Too much is at risk in terms of the health and safety of your family and pets. Below, we list the 7 most common risks. Mold – The threat of a mold infestation is very real and often hidden in damp dark places that have experience water damage or are not thoroughly dried and treated after the water is removed. Mold can take settle in and flourish. The health problems brought on by mold can be serious—even life-threatening. Black mold produces toxins that can lead to a number of symptoms in people such as respiratory problems or skin inflammation. Bacteria – Water that floods your basement is not clean. For example, water in your basement from outside or a leaky pipe contains harmful contaminants and must be properly handled and treated. The longer water stands in your basement, the deeper it will saturate the structural material and contents. Biohazards and contaminants – Do not try to remove water that has been flooded from outdoors. This type of water probably contains dangerous biohazards and contaminants that can cause illness. Oil and fuels from cars and trucks, lawn fertilizers, pet and animal waste pollute water flowing into the basement. It all needs to be handled professionally. Damage to your home’s structural components – Water soaks deeper into the structural materials of your home if you don’t remove it from the basement soon. It seeps under flooring, gets soaked into walls and drywall, wood stairs, insulation, and anything else it contacts. The safety of your home may be compromised when this happens. You need a professional team to remove all standing water, dry the area properly so that your home is restored to its pre-flood condition. Building materials – Even concrete, brick, and hardwood takes water in cracks and holes the longer water stands in your basement. These materials become weaker and ultimately become more vulnerable. In addition, these materials require a special drying process to restore them. Loss of personal property – Water in your basement can lead to the loss of personal possessions. Standing water seeps into furniture, boxes, books, drapes, and more. Your losses may be lessened with immediate water extraction. Carpets and carpet padding – Water damage to rugs, carpets, and carpet padding is usually rapid and extensive and usually very difficult to restore. However, depending on the type of water and how long the material is in contact, it may be salvageable. A professional water extraction and restoration company can usually ensure the carpet and padding is thoroughly dried. Then the rug or carpet will be cleaned, sanitized, and disinfected so that it can be put back into use. Rapid response to a flooding can mitigate the damage your home or business suffers. Calling MD Water Restoration right away ensures that a trained team of experts will bring professional-grade equipment to get the job done right. You can trust them to make sure all contaminants and bacteria have been cleaned from every surface contacted by the basement floodwater. Full damage assessment – If water is still seeping into the premises, we find the point of entry and fix it then we assess the water and its damages in all affected areas. Identification of flood water type – Water is classified according to its source and the contaminants it may contain. Certified by the IICRC, MD Water Restoration teams have the expertise to identify and deal with any type of water. Water removal – Our truck-mounted pumps will remove standing water from your property. We find hidden areas of moisture with state-of-the-art equipment then dry those areas. Then these areas and its materials are cleaned with powerful detergents and antimicrobials to eliminate infestations. Restoration of property and contents – Salvageable content is restored. Material debris and unsalvageable content are taken away for disposal. HVAC cleaning clean out airborne contaminants and allergens. Restoration and renovation of contents – We will restore your property to its pre-damage condition in a timely manner. Insurance claims support – Finally, we help you with your insurance claim. All documentation, including photos and detailed notes of our restoration procedures, will be given to your insurance provider. The water flooding your premises will be classified according to its sources and the contaminants. MD Water Damage Restoration has dealt with a variety of them. Burst or frozen pipes – When the temperature outside plunges to 20 degrees or below, exposed pipes are in danger of freezing damage. When one breaks, you have a water problem in your residence or business. We will extract the water and dry the affected area. 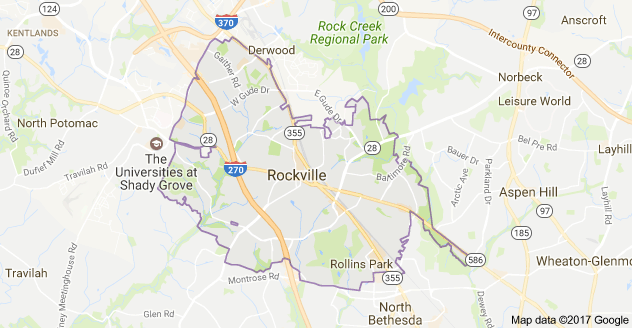 Call us if your property is in the Rockville area. Leaking pipes – Broken or leaking pipes in the basement can cause a great deal of trouble if the excess moisture is not thoroughly dried and cleaned. Our restoration teams check walls, floors, and other hidden areas for damage and moisture with state-of-the-art equipment and techniques. Hurricane and storm damage –Mother Nature can fling excess rain into your region, and water seeps into your home or place of business. Our professional quality equipment and techniques will take care of the water damages inside your property. Faulty appliances – A damaged dishwasher or a faulty gasket can lead to a mishap in your home or business. Our team will remove the excess moisture, thoroughly dry the affected area, and restore all damage. Sewage line backup – When a main sewage line backs up or breaks, don’t try to clean the mess yourself. This kind of incident requires special handling by trained and specially-equipped professionals, who can thoroughly clean your premises with no lingering odor. Water used for fire suppression – If any part of your home or business survives a fire, it will probably have a lot of water damage. Our professional team will clear out the standing water and restore the water damaged. We understand the stress our clients may be under, so we work hard to get them back into their home or business in a timely manner. MD Water Damage Restoration has been serving the greater Rockville area since 2001. Call us 24/7 and our certified technicians will be onsite in 60 minutes or less. Our teams have experienced the full range of water damage restoration and flood damage restoration.